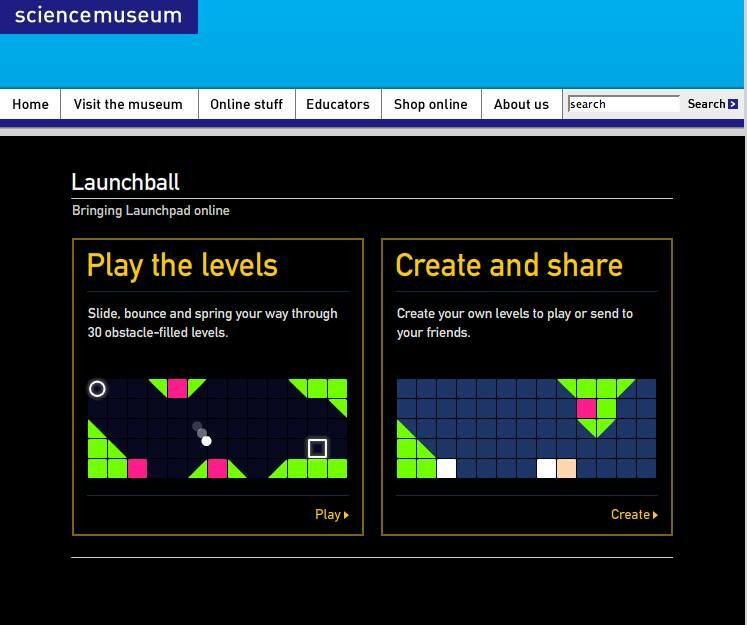 I just came across this post (well I'm a little late) from archimuse about the Science Museum of London winning the SXSW conference - Best Game and Best of Show... for its Launchball game. That's a great achievement for the museum. It reminds me of this 'dos' game I used to play years ago... I think it was called The Machine, - you had a bunch of little building block materials, and you could build any kind of little machine with it. One of the first sort of virtual erector sets. Anybody else ever played that? Mike Ellis, worked at the Science Museum and on this project and writes a great blog about the project here. Launchball is a pretty cool game. The layout of the game is easy to understand and the concepts are really clear. 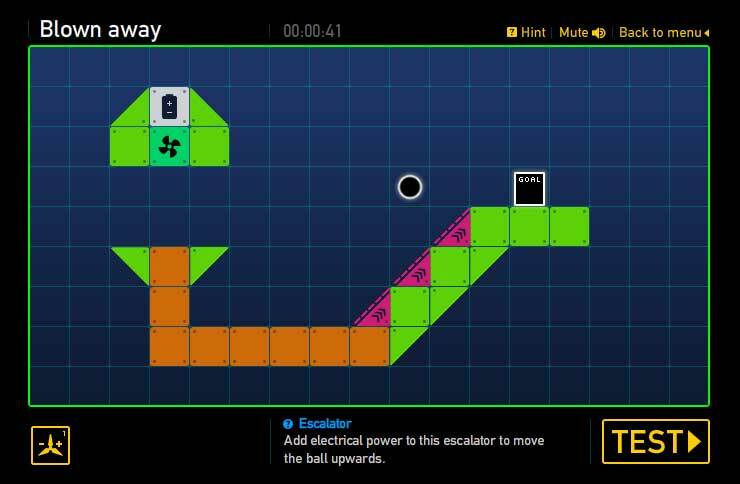 You begin by placing a few 'blocks' containing a battery, or wind turbine, or water heater in the space to get your ball activated and sent to its goal. Then you "TEST" your setup and see if it works yet. Hints are available for Luddites like me who need a little help. The game has multiple levels of play that progress with complexity. A good part of my morning got consumed trying to understand how to get the ice melted, by placing the water tank and the heater in just the right location. From the very first step, you are asked to participate in creating a solution to each challenge. 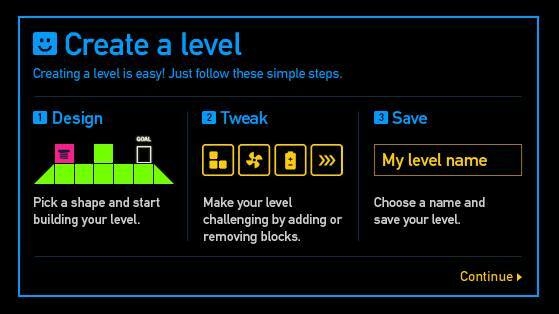 And once you've explored this you can create your own levels. 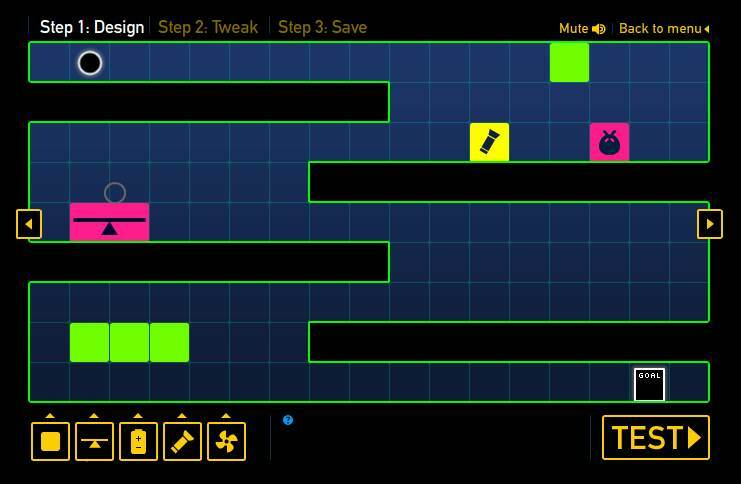 You can create levels of the game, share with friends, and try out and rate those created by others. Fun Fun Fun!!!! Anything else about this game grab you?